Sky and Telescope magazine writer, Bob King, recently posted a great article on the Sky and Telescope website entitled "Pleasures of Keeping an Astro Journal". I could relate my experiences with keeping an Astro journal myself in so many ways with his article. I started keeping an observing log back when I was in my early teens at the same time I purchased my Astroscan 4.25" telescope from Edmund Scientific. The company had a special "bundle" deal with the telescope that included an observer's notebook. After reading Mr. King's article, I pulled out the old orange, three-ring binder I that I now store all of my observing session entries I logged back in those days. The earliest entry was in July 1981, with the last one being logged in November 1992. As I flipped through the pages, it was interesting to see my how my observing skills and recordings improved over the years. Around 1985, I ran out of Edmund's observing notebook blank pages. therefore, I created my own with a typewriter and a pencil compass. 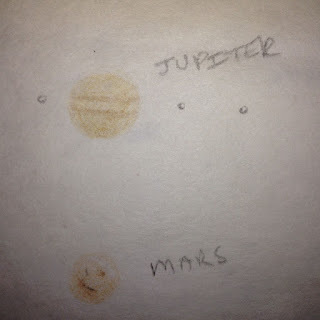 I included an example of my own observation form in this post with an entry of a Jupiter observation I made back in 1991. There were times that I used a simple number two pencil as well as color pencils for sketches, but for most of the observing sessions, I stuck to a pencil. For example, there was a week back in April 1982, my Insight Observatory Associate, Muir Evenden, and I were on spring vacation from high school. The nights that week were so exceptionally clear, we set up my Astroscan 4.25" telescope in my front yard just about every night that week. We used a star atlas called "Seasonal Star Charts" I purchased from Orion Telescopes and Binoculars. Muir and I found at least 15 new deep-sky objects that week that we have never seen before. 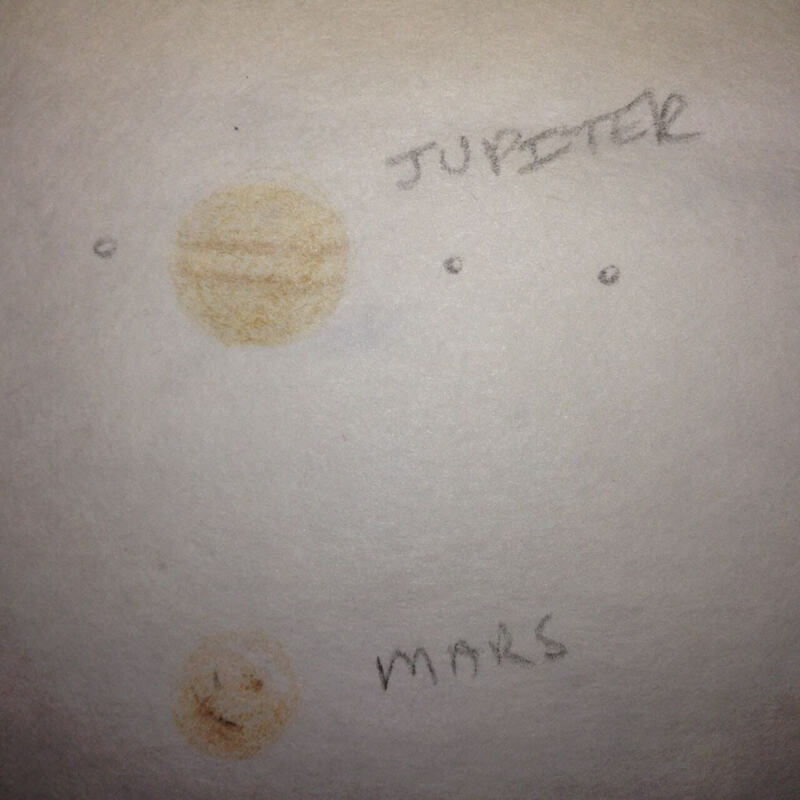 We sketched those objects with a simple pencil and made drawings of Mars, Jupiter, and Saturn one evening that week that using color pencils. I highly recommend keeping an observer's notebook. Not is it only fun, you can detect detail in astronomical objects that cannot be detected with conventional imaging equipment. To quote Mr. King in his article, "There are many reasons to keep a journal. It's a low-pressure, low-tech creative outlet. Over the years, it's fun to look back at your Astro-adventures to relive a moment. Writing and sketching prepare the mind and eye to see better and more deeply the next time we step up to the telescope." Those certainly were the days, Mike! But these can be too. Thanks for noting the importance of keeping and observing log. If anyone doubts their relevance, they only need thumb through a copy of the 3-volume "Burnham's Celestial Handbook".